A recent increase in vehicle break-ins reported on campus has prompted a reminder from the Emory Department of Public Safety to lock and remove valuables from your vehicles. 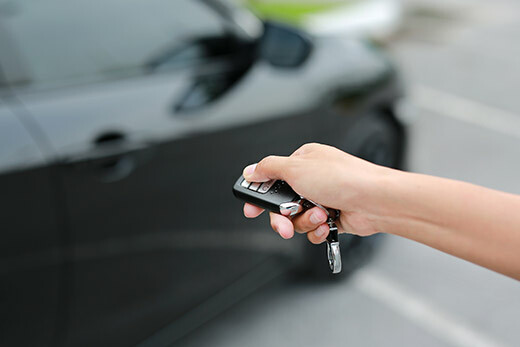 A recent increase in vehicle break-ins reported on campus has prompted a reminder from the Emory Department of Public Safety to be sure to lock and remove valuables from parked vehicles. This month, the Emory Police Department has received reports of at least 18 vehicles that have been broken into while parked on campus, primarily in the Peavine parking deck and along Eagle Row, says EPD Sgt. Alexander Mawson. Vehicle break-ins have also been reported at Water Tower Place and the parking deck of 1579 Place at Emory Point, he adds, with a primary focus on large SUVs and trucks. Most of the crimes have involved windows being broken out of vehicles in order to remove property. In other cases, nothing was removed, but investigators suspect that thieves were searching for valuables. A majority of the break-ins have occurred during early morning commute hours, roughly 5 a.m. to 9 a.m., he says. Thieves have targeted a wide array of valuables, from backpacks, wallets, electronics and transaction cards to one report of a stolen handgun. Emory is a private university and prohibits firearms on campus — and campus parking decks are Emory property, Mawson says. “While we certainly wouldn’t advocate for any firearms on campus, we especially would discourage firearms being left alone in vehicles,” he adds. All of the cases have been assigned to investigators who are actively pursuing leads, and EPD has stepped up pro-active patrols in places where the break-ins have occurred, according to Mawson. However, he reminds those in the Emory community who park on campus to roll up windows, lock vehicles, and be aware of suspicious activity, such as individuals loitering near parking structures, peering into parked cars or going from vehicle to vehicle trying door handles. “In fact, any time anyone feels unsafe of concerned, they shouldn’t hesitate to reach out to Emory police,” he adds. Those who may be uncomfortable walking to or from their vehicles are also invited to participate in Emory’s SafeRide program or use the Emory LiveSafe app, which allows friends or co-workers to use GPS to track you until you safely reach your destination. Community members with concerns or questions are encouraged to call EPD offices at 404-727-6111 for emergencies and 404-727-8005 for non-emergencies.